One of the best things about Sydney is the wide variety of food on offer, every type of cuisine, at any hour of the day. There is no end of quirky eateries which offer fantastic food at reasonable prices. One of my favourite things to do whilst on my gap year was exploring the streets of Sydney discovering the most weird and wonderful places to dine. However when backpacking we all know that budgeting is key, so here are the top 5 places to eat in Sydney that I found to gorge myself whist keeping a tight grip on my purse strings. Cargo Bar – Cockle Bay Warf $10 steak offer Monday to Wednesday, located on the waterfront with $8 cocktails. Very popular with both backpackers on a budget and young professionals alike. Flying Fajita Sistas – Glebe Point Road Located in the popular Inner Western suburb of Sydney a short walk from the CBD, this Mexican restaurant offers $3 taco and $3 tequila shots every Tuesday. Flying Fajita Sistas is a good option if you’re looking to explore the quirky suburb of Glebe and a nice change from the busy city centre. Mr Crackles – Darlinghurst, Oxford Street This hectic fast food eatery is located on the popular “party strip” of Oxford Street, open Sunday, Monday, Tuesday, Wednesday until 9.30pm, Thursday until 2am and feeding weary partygoers until 4am both Friday and Saturday. Mr Crackles offers slow-cooked meat based rolls and sandwiches with a Vietnamese twist – perfect for hangover prevention! Chur Burger – Surry Hill Trendy burger bar located in the vibrant eastern suburb of Sydney, offers a vast array of burgers at $10 with a gourmet touch; think pulled pork with Chur BBQ sauce, red slaw and fennel mayo! A must for hungry backpackers looking for a filling pre-night out feast. 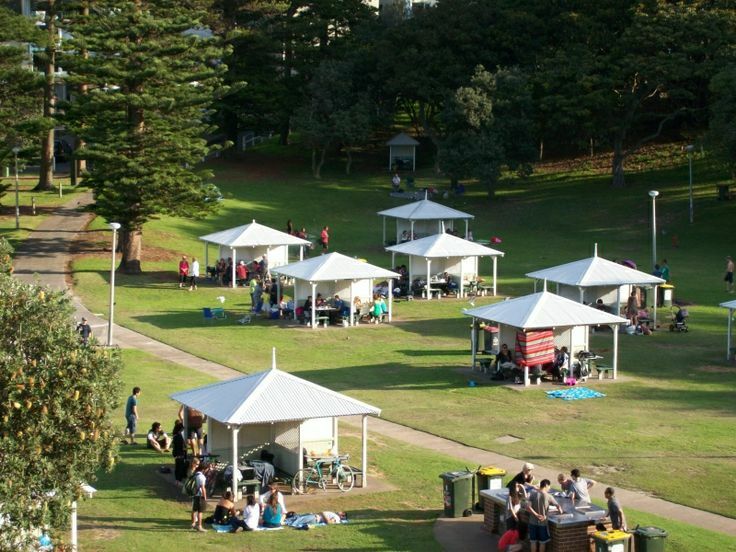 BBQ at Bronte Beach Park One of the best and most authentic things to do of an evening in Sydney is to throw your own BBQ party, all over Sydney there are purpose built “barbies” in parks. Bronte Beach is one of the most popular as it’s a short bus ride from the CBD. This is the perfect place to try out your BBQ skills with some of Australia’s most famous food, kangaroo burgers are a firm favourite as are cheap to buy from local butchers, along with steak, fresh seafood and sausages. The expression “throw another shrimp on the barbie” has never been more appropriate. If this has made you want to check out what Sydney has to over why not take a look at our website. Next Post There&#8217;s an elephant&#8230; and another&#8230; and another!